Apple has continued on its path of being the company that keeps on giving by releasing an updated version of its iTunes software. 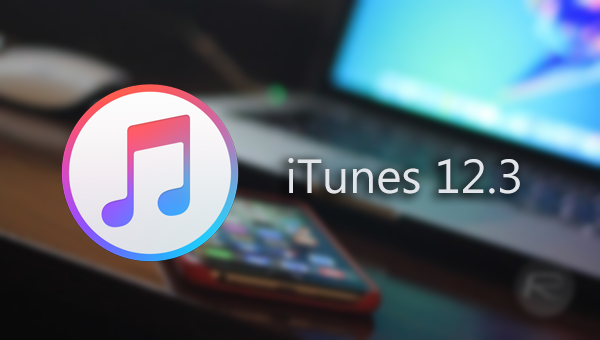 Today’s release of the company’s iTunes software sees the version bumped up to 12.3, bringing with it support for the recently released iOS 9, as well as design amendments that have been introduced with the launch of OS X El Capitan in mind. As you might expect, the introduction of the latest version of iTunes inevitably brings with it the usual big fixes and stability improvements that we are accustomed to seeing in all software updates. In addition to offering full iTunes support for iOS 9 and amending parts of the app to fit in with OS X El Capitan, iTunes 12.3 also brings support for Apple’s new two-factor authentication process that has been designed to further secure a user’s Apple account and associated Apple ID. When you’re finished battling with the installation of iOS 9 on your iPhone, iPad, or iPod touch, the latest version of iTunes can be obtained and installed via the Software Update mechanism within the Mac App Store on OS X and Apple Software Update Utility for those of you on Windows. Doesn’t seem like this is live yet for Windows (still iTunes 12.2.2 for me). windows en no update avaible yet ??? where is 12.3 ?, and since i put ios 9 gm on my ipad 4 gen wifi) i can’t sync apps en songs no more :((( only photos! & it syncs apps en photos trough wifi! its unchecked and i dont even like it i hate wasting lots of wifi! my bandwith is lots used ! ??? stupid! gm ;( !! the update to itunes has a bug or something cuz itunes wont even open now on my windows 7 computer. After i updated my iphone 4s to ios 8.4 the Wi-Fi is disabled and i don’t how to solve this problem. Im surprised nobody has chimed in that 12.3 doesn’t support OSX Lion 10.7 This is pretty sneaky of Apple and I can’t believe I can not find anybody yelling about this. So when people buy a new phone now they just expect us to buy a new computer too???? I love Apple but this is ridiculous.